Have you ever considered a vacation in sunny Cincinnati, Ohio? How about Boise, Idaho? Well, according to travel pros Lonely Planet, you absolutely should. Lonely Planet published its Best in the U.S. list for the eighth year in a row, highlighting the top 10 underrated spots you have to visit. From Arches National Park’s multicolor sandstone to the breathtaking Natural Bridges, this area of Utah is a sight to be seen. Why wouldn’t you want to visit the happiest state in the U.S.? Boasting new boutiques and farm-to-table restaurants, Minneapolis also has a revamped IG-worthy sculpture garden. Come to Kentucky for its picturesque rolling hills, stay for its bourbon. Here, you’ll find some of the country’s most well-known distilleries. 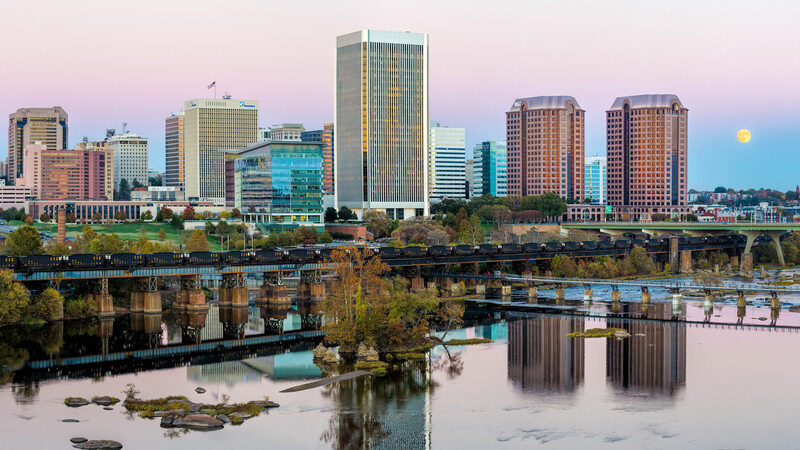 Richmond is not only full of history, it’s also an outdoor enthusiast’s dream. Here, you’ll find a 52-mile bike trail along the James River. After your hike, hit up the city’s many microbreweries and cideries. Go camping, try a pint at a craft brewery, hit up a vineyard, sit down at a farm-to-table restaurant, eat all the lobsters at the 70th Maine Lobster Festival: Maine has it all. Cincinnati might seem like an unusual vacation spot, but its stunning skyline is surprising easy on the eyes. And new to the city is its Brewing Heritage Trail, where you’ll find plenty of beer, eateries and fun shops. From Kennedy Space Center and Cape Canaveral to the new ATX (astronaut training experience) and Merritt Island (where you can go on a nighttime kayak), Florida’s Space Coast is a destination the entire family will enjoy. Rock climbers, hikers and mountain bikers, this one’s for you. Chattanooga has some of the best rock climbing and trails in the country. The Ocoee River is also one of the top spots for white-water rafting. Those fall colors though! 😍 #visitboise Thanks for tagging us in your photo @everettwurtz. Boise has award-winning wineries and craft breweries galore. It’s also home to plenty of music festivals, including Treefort Music Festival and Punk in Drublic (a punk rock and craft beer festival). Here, you can also hit the Boise River Greenbelt for hiking, biking, river rafting and more. You’ve seen it in plenty of movies, from Jurassic Park to Rise of the Planet of the Apes: the redwood forest. Seeing California’s 2,000-year-old redwoods up close is an unforgettable experience, and this year, you can see it for free. To celebrate its 100th anniversary, the Save the Redwoods League is offering free entry to over 40 redwood state parks the second Saturday of every month.